Whether you’re a beginning blogger or an established business looking to grow your customer base, you probably already know that you need to grow your email list. After all, you’ll need an audience to be successful and the larger your following, the higher your chances of targeting people who are actually interested in what you have to offer. This means it will be much easier to sell your products or services later down the line. So how do you build this golden list? Most people think they should create an opt-in offer for their readers in exchange for their email addresses. But this means you’ll have to spend days or weeks developing a useful piece of content for your audience even though the results from this method are never really guaranteed. Sometimes all that hard work only garners a handful of followers, which will make the project feel like a complete waste of time. Now, don’t get us wrong — an opt-in offer can be a super effective method for some businesses. But for those just starting out, or experiencing a growth plateau in their email list, this method is certainly not your best option. For starters, it takes more than a free piece of content to convince most people to hand over their email address. Second, readers are inundated with opt-in offers all the time. Some have even subscribed to a few lists only to discover that the opt-in offer wasn’t as great as they hoped it would be. This sense of disappointment will definitely make them less likely to subscribe to another one in the future. 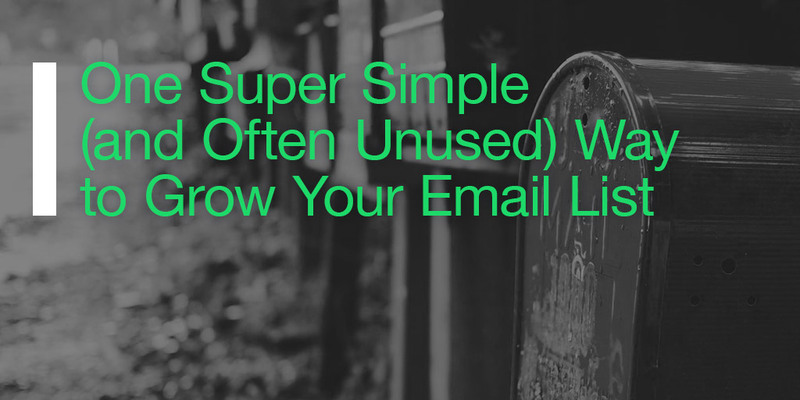 So let’s tackle this issue of getting you more email subscribers in a new way. Today’s article is all about the often unused tactics you should be using to grow your email list. By implementing some of our favorite tips, you’ll have a strong email list of happy, eager-to-buy followers and the loyal audience you’ve been searching for. Bonus: Check out our free resource for creating the perfect quiz or survey for your audience! Download this free resource to help you create the perfect quiz or survey for your audience. Send me tips, guides, promotions, and other marketing-related emails! Most lead generators stop at the first point and never successfully tackle the second one simply because they assume that quality content is more than enough of a reason for readers to offer up their email addresses. Unfortunately, this is a huge mistake. Providing a solid piece of content is only half the battle these days. Everyone has been taught that ‘content is king’ so they’ve been striving to deliver quality content left and right. With that much noise, how are you going to stand out? Offering a valuable piece of content just isn’t enough. Instead, you need to focus on both points to be successful and place an extra emphasis on audience engagement. How do you do that? Opt-in offers make subscribers exchange their email address before they find out how much effort (i.e. time) is required on their part to make the content worth it. If the content material is overwhelming or takes up too much of their time, especially after a long, draining day at work, readers will probably never use it. Or it may be worse; they won’t engage with the content you painstakingly created and will unsubscribe from your email list altogether. This is certainly not the kind of audience interaction we’re seeking. One of the best ways to increase your reader’s engagement, along with providing awesome content, is by using quizzes and surveys. What’s even better is that they also have one of the highest success rates for building an email list. Why are Quizzes and Surveys the Way to Go? Quizzes and surveys don’t take countless hours to create. In fact, you can have one ready to launch in a matter of minutes. Even if you’re really stuck and don’t know what types of questions to use, you may only spend as much as an hour crafting a perfect questionnaire — which is just a fraction of the time you’d spend creating an opt-in offer, but you’ll probably see twice as much audience engagement. While these are time-saving options for you, a survey or quiz may only take up 5–10 minutes of your reader’s time, which is much less than the opt-in offer time commitment. Plus, quizzes are so much more fun to take than reading another piece of content. If you don’t believe us, check out the BuzzFeed quiz section. This Avengers BuzzFeed quiz garnered 1,474 responses in under an hour (and those numbers are still growing). Surveys, while less fun initially than a quiz, will help both you and your reader in the long run, making you both happy. You’ll have an insider’s look into what your audience is truly looking for since you’ll be asking your reader for their opinion and input about a topic of your choosing. Tailoring your future content with this intel in mind will provide more value to your content in your reader’s eyes. As you grow your email list, focus on creating quality content and engaging your readers. Here’s a pro tip: Create a fun quiz if you’re just starting out with your list. Use surveys when you have somewhat of an audience built, but you’ve hit a plateau with subscribers. This can help you get back on track and see why others have been hesitant to join your list. By far, the biggest reason to use quizzes and surveys is to stand out from your competitors. Adopting this effective tactic, especially when you’re in a crowded niche (which pretty much everyone is), will keep you one step ahead of your competition and your readers will thank and reward you for it. Bonus: We’ll explain what to keep in mind when creating a quiz or survey in this free resource. Don’t worry, it will only take less than 5 minutes of your time. In the end, remember to focus on creating quality content and engaging your readers as you attempt to grow your email list. As we’ve seen, it’s not enough to just create an opt-in offer with quality content. 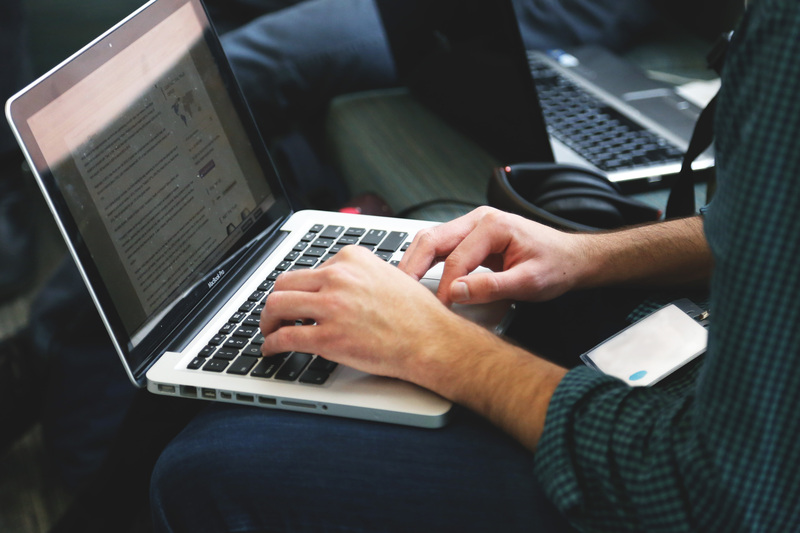 Give your readers something fun to do, or show them that you’re listening to their feedback, and they’ll gladly hand you their email address in return. Interesting idea on using quizzes in a way that I have not thought about before. What advice can you offer about engaging someone to the point that they are willing to provide their email? Do you have a sample quiz that you can point to? I use your plugin and several add-ons so I’m definitely interested in more ways to leverage what I have. Other users have created more Buzzfeed like quizzes similar to the one mentioned in the post. Other examples would be a golfing site that uses a quiz to help determine what type of clubs they should be using. To get the results, the users have to enter in their email address as the results are emailed to them. I’ll try to create a few sample quizzes for this purpose and add them to the demoes in the next few weeks.